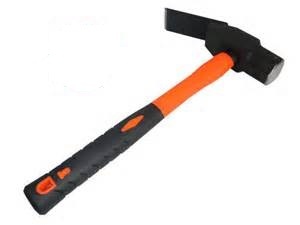 Heavy Duty Sodbuster Hammer with Rubber Grip handle. Hammer end & digging end approximate 3 lb head. Heavy Duty fiberglass shaft.